Carl Neville is a name familiar to most in this parish for his blog and for Zero Books nonfiction publications like Classless: Recent Essays on British Film and No More Heroes? : Steroids, Cocaine, Finance and Film in the 70s. I am currently reading his new book Resolution Way, a novel just published on Zero breakaway imprint Repeater. And I'm gripped. 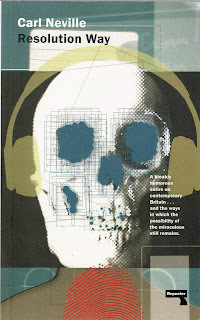 Resolution Way uses the speculative fiction technique of zooming into the very near-future - it could be just a few years ahead - in order to magnify the British present. Everything is just slightly more precarious and polarized - the affluent even more entitled and cocooned, the remainder struggling that bit harder and slipping ever nearer the social precipice. Passing references sketch in a backdrop that is recognisable but slightly askew: a extension of now, warped and intensified. Unfamiliar and vaguely disquieting acronyms. Brands, apps, devices and platforms that travel further-along-the-arc from those we currently use to organise and alleviate our boredom, loneliness, vanity, or to assuage our anxious compulsion to keep up. Allusions to political formations and issues that are alarmingly plausible - militant renationalisation groups, a London independence movement. My favourite so far is the chain Tastee-Pound: "open till four in the morning, instant decisions on micro loans at an annualised 2,300 % interest rate, a pawnbrokers, a betting shop and fast food joint all-in-one." A "one stop poverty and obesity shop" for the lumpen lost of Zones 2 and 3. The novel's foreground, though, concerns a different feature of the contemporary scene: the drive to unearth long-lost or never-known music / literature / film etc etc and turn it into cultural capital. 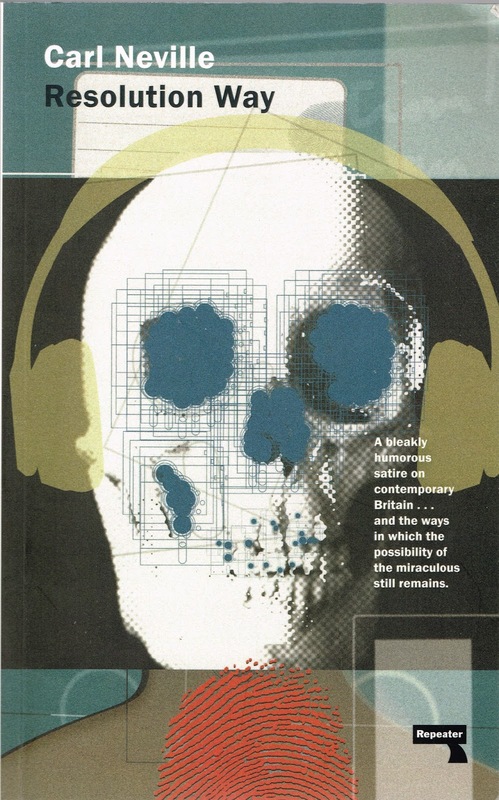 Writer Alex Hargreaves stumbles across the existence of a beyond-obscure writer/ sound-artist called Vernon Crane and becomes obsessed with recovering and consolidating the dead man's scattered work. As the archive-fever possesses him, Hargreaves is pulled insidiously across the line between curation and appropriation, detective work and crime. Propelled by lean prose that sparingly flashes into a poetic or epiphanic register, Resolution Way merges elements of science fiction, political satire, thriller and ghost story; it is alternately - sometimes simultaneously - unsettling, acerbic, pacy, and eerie. Highly recommended.